P 7916 - Window Screen Frame Notching Jig, 1 ea. 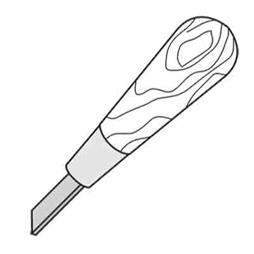 P 7920 - Screen Frame Notching Tool for Installing Knife Latch. 1 ea. 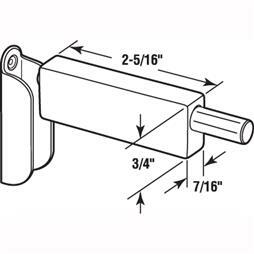 P 7921 - Window Screen Frame Hanger Nail Set for 7/16" Frame. 1 ea. P 7922 - Window Screen"Step" Type Drill for installation of a Plunger Latch. 1 per pkg. 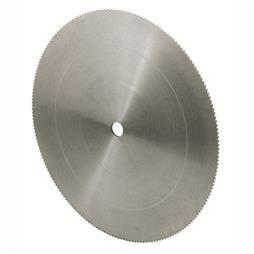 P 7929 - 10" Semi-High Speed Saw Blade for cutting Aluminum Screen Frame. 1 ea. P 7930 - 10" Semi-High Speed Saw Blade for cutting Aluminum Screen Frame. 1 ea.